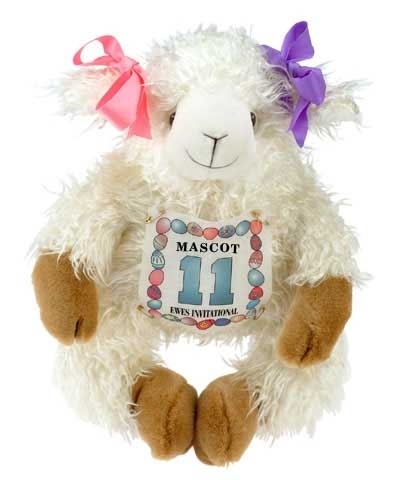 13" Ewe Invitational Mascot. Long haired ewe with custom competition number. Each Ewe has a custom competition number for the Ewes Invitational held on Easter Day.